The Sword Fern is originally from Australia. It has an upright growth habit and sword-shaped fronds. 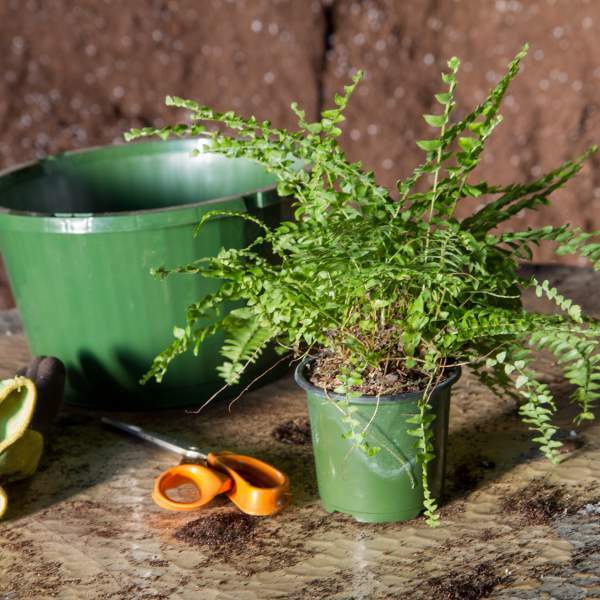 The Sword Fern works well in a container or as a landscape plant. Your customer may like the fact that its leaves stay sturdy in the wind. Sword Ferns withstand heat well and can sometimes make it through winter, though you should treat them as an annual. For best results with Emerald Queen Australian Sword 4 Inch , we recommend using a well-drained loamy, acidic soil with a constant feed program of 150-200 ppm N. Maintain a pH between 5 - 5.5. Keep the soil evenly moist, but don't allow it to be come saturated for a long period of time. Try to water early in the morning as the temperature is still rising. Avoid watering in the middle of the day when the sun is high as this could damage the fronds. Ferns do not require pinching. Plant growth regulators are not recommended for Boston Ferns. Brown scales, caterpillars, and whiteflies are the biggest pest problems for Boston Ferns. Boston Ferns are not prone to many diseases, but watch for botrytis while the days are short. This grey rot is usually associated with wet or humid conditions. You can prevent botrytis by allowing the plant to dry out between waterings, allowing for good airflow in your greenhouse, and spacing to allow the sun to penetrate to the soil level. The most common chemicals used to treat botrytis are Medallion and Banrot. Use them as a drench according to each label’s instructions. We recommend planting one plant per 4 inch pot. Use a well-drained soil in your baskets and plant your starter plants deep, allowing the ellepot to be completely covered by the soil. Planting one established 4” pot per 10” basket should produce a full product in 8-10 weeks.